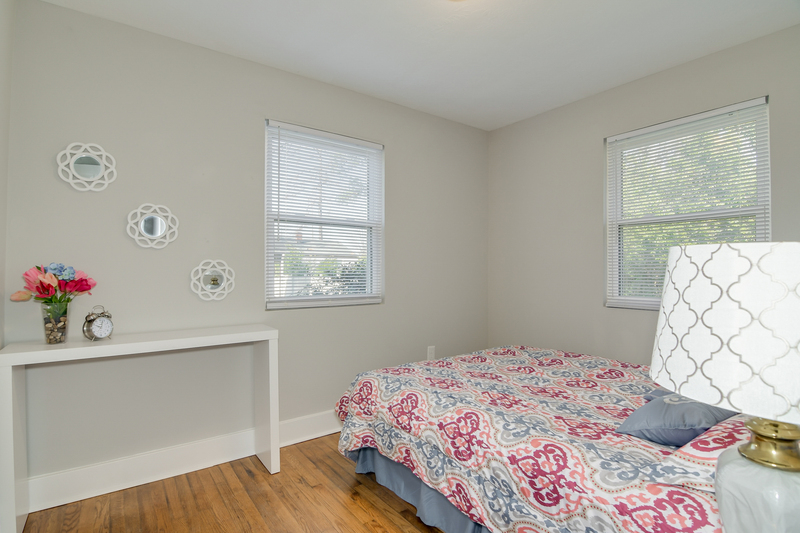 3 Beds, 1 Bath | 1,290 sq. 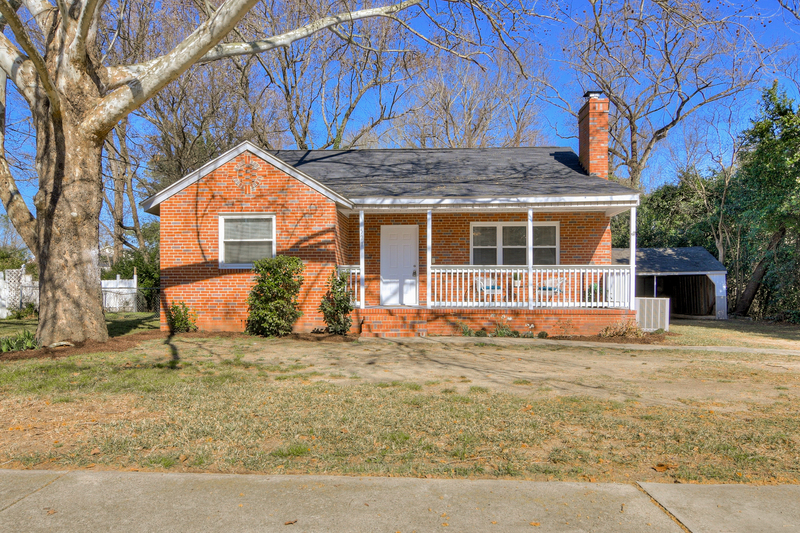 ft.
Adorable ranch in sought after downtown North Augusta neighborhood. 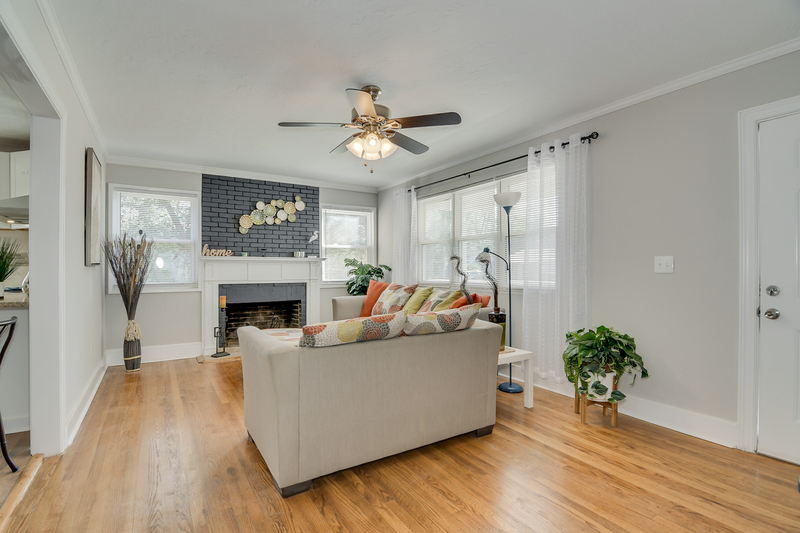 This home features hardwoods, fresh paint, and upgrades around every corner. 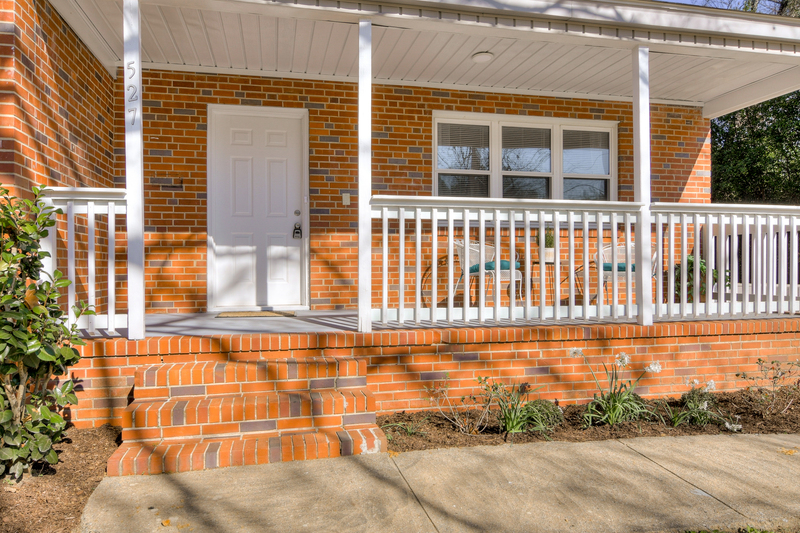 Just past the rocking chair front porch, the front door opens into a large and bright great room with brick fireplace. An open pass through creates an ideal open floor plan that is great for entertaining. 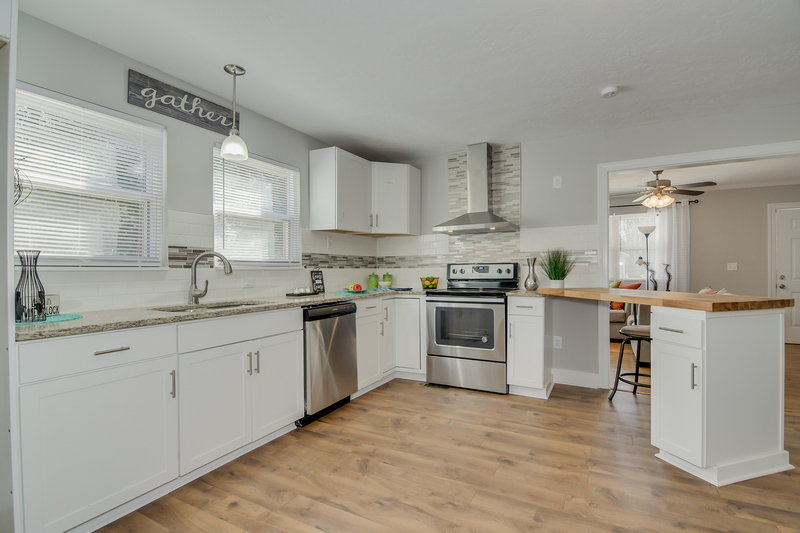 The large eat in kitchen boasts new cabinetry, counter tops, stainless steel appliances, and lighting. 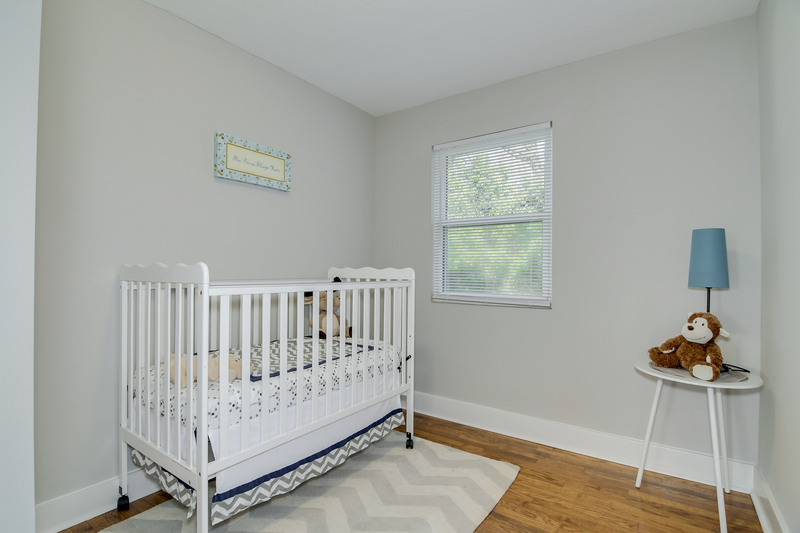 The owner’s bedroom is spacious with fresh paint, ceiling fan, large closet, and great natural light. 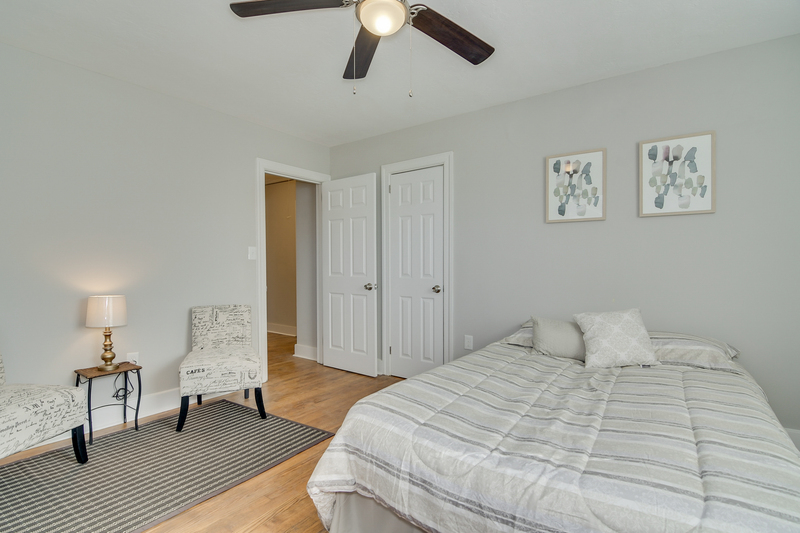 2 additional bedrooms are conveniently located around the fully updated bathroom. 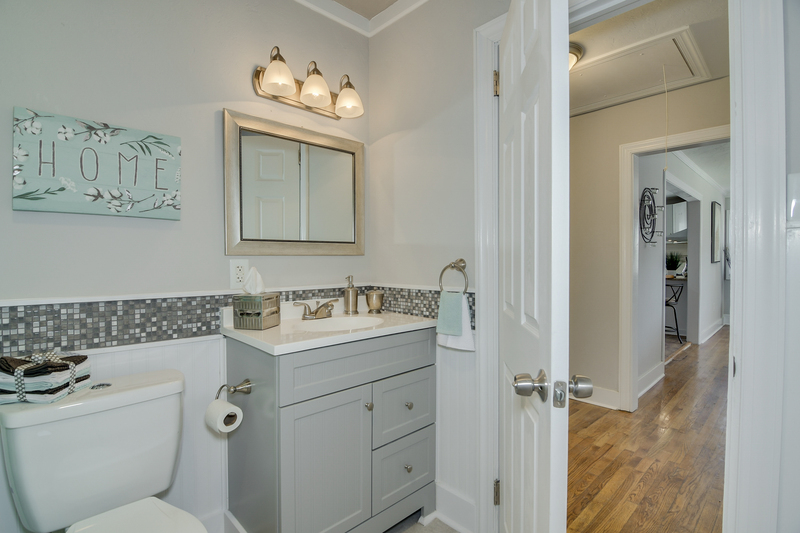 This bathroom features wainscoting, great storage, and new plumbing fixtures. Off of the kitchen is a large laundry/mudroom with access to the fenced in back yard. To the right of the home is a detached double carport with easy access to the home. This is a great location in the fast growing North Augusta area!